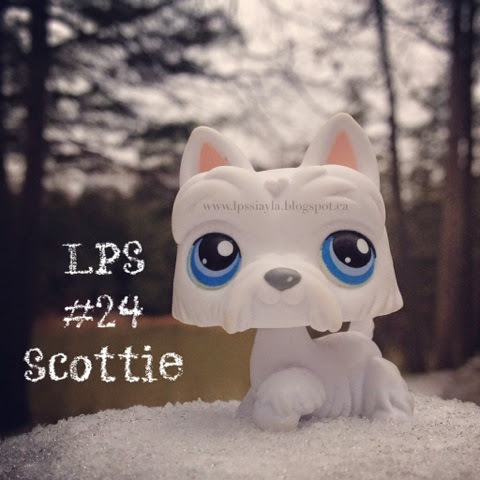 Number 24 is this white Scottie dog. He is pure white with two tone blue eyes. He blends right in with our new fallen snow.